Tinnitus is a common form of hearing impairment that will affect approximately 15% of people at some point in their life and will take the form of a ringing, buzzing, or whistling type of sound in one or both ears. Someone suffering from tinnitus may believe that there is noise coming from an external source. The Royal National Institute for Deaf People in conjunction with the British Tinnitus Association conducted a study showing that 25% of people that suffer with tinnitus at first believed that the noise they could hear was from an external source such as an appliance, road noise, etc when in fact it was caused by tinnitus. Tinnitus can be caused as a consequence of an industrial injury through the prolonged exposure to loud noise over a period of time in the workplace (or even at home). Workers that have to regularly deal with extremely loud tools will be at risk of developing tinnitus over time if their ears are not protected adequately. These can include workers in factories, construction, engineering, foundries, road repair, maintenance or textile manufacturing – with at risk tools such as chain saws, jackhammers, pneumatic drills, welding equipment, etc. Tinnitus can also occur both temporarily and permanently due to ageing and is particularly prevalent in those in their 60’s and can be a signal of possible hearing loss. Many people will experience symptoms of tinnitus in their lives which will usually be temporary. For instance, after attending a loud music concert the attendee will often hear a ringing in the ears for an hour or two after the concert whilst the ears recover from the loud music. However, if the symptoms of tinnitus are regular or permanent and you work in a noisy environment that may be causing or exacerbating the problem you may want to seek advice from a qualified medical professional. 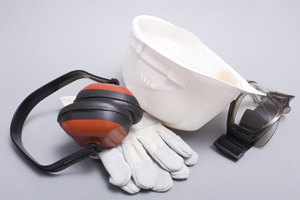 What is My Industrial Deafness Claim Worth?